forthcoming residential sale or purchase transaction click on the image above. Our fees cover all of the work * required to complete the purchase of your new home, including dealing with registration at the Land Registry and dealing with the payment of Stamp Duty Land Tax (Stamp Duty) if the property is in England, or Land Transaction Tax (Land Tax) if the property you wish to buy is in Wales. Our Legal Fees: Our fees* are quoted to you as estimates on the basis of the information you supply to us and also not having had sight of any legal documents or detailed understanding of the actual purchase transaction at hand. We therefore always request any additional information you can supply us so that we can try and accurately estimate our legal fees which in most cases remain as quoted from the outset of the transaction. As a guide, we therefore estimate our legal fees on freehold property purchase price range as shown below. Search Fees: Our personal standard search pack fees are at always at cost which includes the local authority, waters and environmental searches and will cost £250 inclusive of VAT. 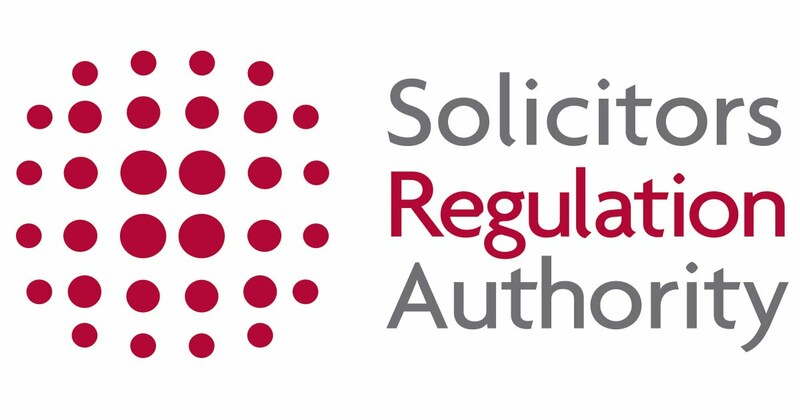 Please note that in some cases if you are financing your purchase with a mortgage some lenders insist on searches that carried out by the relevant regulatory body in which case we would have to make specific enquiries before quoting you for the actual cost of the searches but generally they would be between £250 and £500. Again, these would be at cost and there will be no additional fees from us to you in respect of this. HM Land Registry fee: These costs are fixed by the Land Registry and are payable to the Land Registry. The fees to the Land registry are based on the purchase price of the property shown in the range below and whether it falls under Fee (A) or (B). Referral fees: Unlike other firms, we do not pay any referral fees to any third parties such as estate agents or brokers to obtain any new business as we believe that any commission fees paid would inevitably and indirectly increase costs to you. For example if we were to pay referral fees, we would need to increase our fee to our clients which we do not believe should be the case and that is also the reason why our fee structure is kept simple, clear and concise. We also do not like “hidden charges” or paying referral fees and neither do our clients. We have been successful in our business due to our long standing relationship with all our clientele, word of mouth, and recommendations from existing clients notwithstanding the fees we charge are always very nominal, clear and concise with no hidden charges. In addition to the above, we also believe that as we do not pay any referral fees, our ability to remain neutral throughout any transaction and between all parties is paramount as it not only affords us our independence but for you as a client to be able to make informed and critical decisions, even if the decisions you make may not be favourable to other third parties. To most, purchasing a property will be the important decision they make in their lifetime. It is therefore imperative to us that you know that we will always remain independent and neutral from all parties when advising you. This is the basis Keith Flower & Co was founded by Mr Flower some 40 plus years ago and it will continue to do so in the future. Disbursements: Disbursements are costs related to your matter that are payable to third parties, such as Land Registry fees. We handle the payment of the disbursements on your behalf to ensure a smoother process. Stamp Duty or Land Tax: This depends on the purchase price of your property and your personal circumstances. You can calculate the amount you will need to pay by using HMRC's website or if the property is located in Wales by using the Welsh Revenue Authority's website here. Unlike other firms we do not charge for not charge for stamp duty submissions. Postage and Petty Disbursements: We do not charge for postage and petty disbursements as we try to facilitate the transaction by emails. All our searches communications are in electronic form and we therefore encourage this process to save on paper and additional costs to you and also, you will agree that this is environmentally friendly. Contract papers are sent to you for printing on paper and returning to us by post. Should you not have email access then surcharge fee of £50 plus VAT at our discretion may apply for printing and postage costs. Anti Money Laundering (AML) Checks: We are required by law to carry out AML checks and the cost of which costs can range between £10 to £50 plus vat per person depending on the checks we need to carry out. Land Registration Formalities: We do not charge extra to register you at the Land Registry it is free and included as part of our fees. 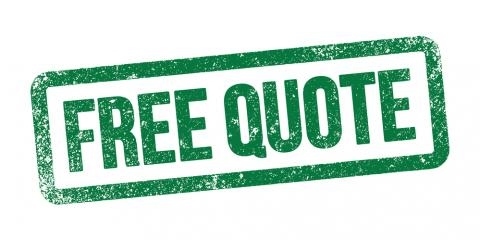 EXAMPLE: Using the information set out above, as an example of a freehold purchase (not a new build) at £75,000 as your replacement property purchase in which you will not own a second property on completion our quote to you will be formatted as shown below:-. How long it will take from your offer being accepted until you can move in to your house will depend on a number of factors. The average process takes between 3-8 weeks. It can be quicker or slower, depending on the parties in the chain. For example, if you are a first time buyer, purchasing a new build property with a mortgage in principle, it could take 4 weeks. this is a standard and non protracted transaction and that no unforeseen matters arise including for example (but not limited to) a defect in title which requires remedying prior to completion or the preparation of additional documents ancillary to the main transaction. no indemnity policies are required. Additional disbursements and legal costs may apply if indemnity policies are required. there is no need to contact your lender for unforeseen circumstances which would be additional works and unforeseen and which further legal costs may apply. Our fees cover all the work** required to complete the purchase of your new home, including dealing with registration at the Land Registry and dealing with the payment of Stamp Duty Land Tax (Stamp Duty) if the property is in England, or Land Transaction Tax (Land Tax) if the property is in Wales. Our Legal Fees: Our fees** are quoted to you as estimates on the basis of the information you supply to us and also not having had sight of any legal documents or detailed understating of the actual purchase transaction at hand. We therefore always request any additional information you can supply us so that we can try and accurately estimate our legal fees which in most cases remain as quoted from the outset of the transaction. As a guide, we therefore estimate our legal fees on leasehold property purchase price range as shown below. Deed of Covenant fee – This fee is provided by the management company for the property and can be difficult to estimate. Often it is between £1 and £200. Certificate of Compliance fee – To be confirmed upon receipt of the lease, as can range between £10 – £200. Share Certificate – Certain leases and freeholder setups require a new share certificate to be issued and issuance may incur future additional charges by the freeholder. This can be often between £5 to £100. If seller’s share certificate is missing/lost, additional costs may apply and this would also be considered unforeseen and may attract additional legal fee to deal with this matter. **These fees vary from property to property and can on occasion be significantly more than the ranges given above. We can give you an accurate figure once we have sight of your specific documents and the management pack from the managing agents. EXAMPLE: Using the information set out above, as an example of a leasehold purchase (not a new build) at £75,000 as your replacement property purchase in which you will not own a second property on completion our quote to you will be formatted as shown below:-. How long it will take from your offer being accepted until you can move in to your house will depend on a number of factors. The average process takes between 5-10 weeks. It can be quicker or slower, depending on the parties in the chain. For example, if you are a first time buyer, purchasing a new build property with a mortgage in principle, it could take 5 weeks. However, if you are buying a leasehold property that requires an extension of the lease, this can take significantly longer, between 2 and 6 months. In such, a situation additional charges would apply. That all the leasehold formalities are straightforward and non protracted.